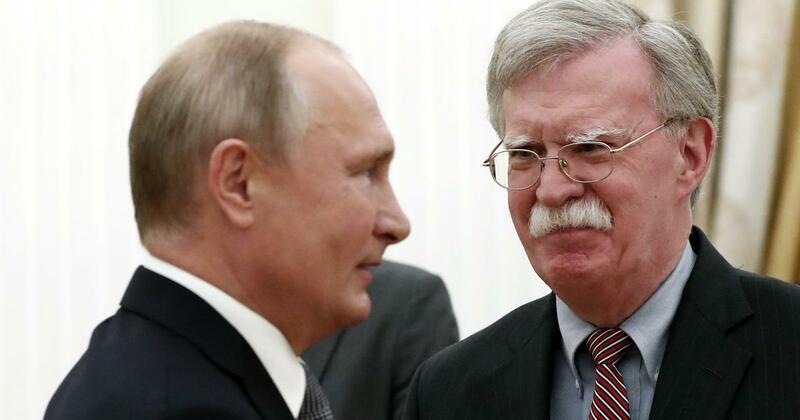 His statement came hours after US National Security Adviser John Bolton informed him of Washington’s decision to withdraw from a landmark nuclear arms treaty. Russian President Vladimir Putin on Wednesday said Russia would respond in kind to any United States missiles placed in Europe, AFP reported. His statement came after a meeting with US National Security Adviser John Bolton, who informed him of Washington’s decision to withdraw from a landmark intermediate-range nuclear forces treaty. On Saturday, Trump said the US would exit the treaty since Russia had been violating the agreement “for many years”. Bolton reiterated Trump’s remarks on Wednesday. He said Russia had been violating the treaty for years and that rising powers such as China meant that it was a “new strategic reality out there”, The Guardian reported. The Intermediate-Range Nuclear Forces Treaty, which was signed in 1987, mandated the elimination of short-range and intermediate-range nuclear and conventional missiles by both countries. The treaty was signed by former US President Ronald Reagan and former Soviet Union President Mikhail Gorbachev. Abandoning the treaty and the failure to extend another key arms control agreement known as the New START would unleash a new arms race, he warned. The European Commission has urged the United States and Russia to pursue talks to save the treaty. China has also requested Washington to “think twice” as a unilateral withdrawal “will have a multitude of negative effects”. On Monday, Trump said his country would build up its nuclear arsenal until other countries “come to their senses” – and when they do, “we’ll all be smart and we’ll all stop”. He was referring to Russia and China.